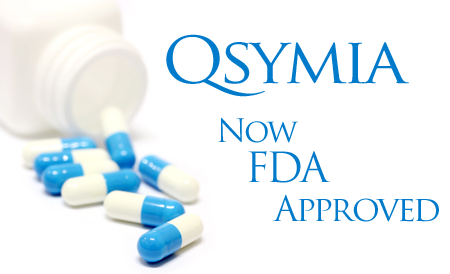 Recently, Qsymia, a new prescription diet pill, was approved by the FDA. But three days after it was launched here, the drug maker revealed that the drug was being turned down in Europe. Why? Because they said it wasn't safe enough. You guessed it ... rejected in Europe, but just fine for the U.S. of A. There haven't been any new weight loss drugs in more than a decade and will stay that way in Europe. Qsymia contains phentermine (yep, half of fen-phen fame) and topiramate (the active ingredient in Topamax, a seizure medication). Yikes! The company that makes the drug, Vivus, are disappointed that they aren't getting the go ahead in Europe. An analyst says that European regulators just aren't as accommodating to new weight loss drugs as U.S. regulators are. Maybe that's because these drugs have been linked to heart risks and fetal development risks (specifically, cleft palates). Those risks are unchanged since the FDA rejected the EXACT SAME DRUG back in 2010, but somehow it has somehow become safe since then. Now patients just need regular heart rate monitoring. European regulators are not bending to the pressure disguised as an "obesity epidemic." For them, the risks of Qsymia clearly outweigh the rewards, and so it's a no-go for the drug over there. The FDA could learn a thing or two here. Don't hold your breath. Smoking. Try to quit and die? Getting the flu shot? Think again.